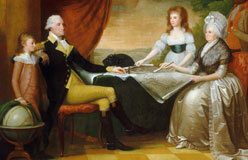 In 1732, George Washington was born in Virginia. It was then one of 13 American colonies that stretched along America’s Atlantic coast from Massachusetts to Georgia. Most people were farmers. Few people lived in cities. 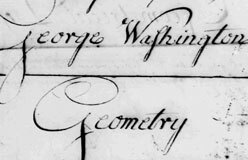 In 1763, Washington was 31 years old. 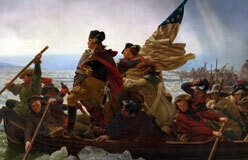 Great Britain had just fought the French to win control of North America to the Mississippi River. 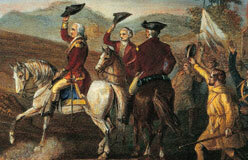 But 20 years later, the British were defeated by their 13 colonies in the American Revolution. Washington played a part in both wars. 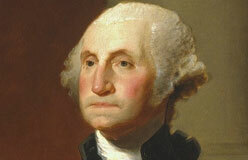 Afterward, he served the new nation as it began to unite the former colonies and create a government. He died in 1799. 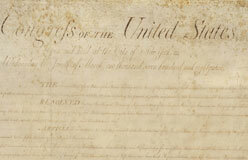 By that time, the United States was an independent nation with its own Constitution, a framework for government that has lasted for over 200 years.